My latest reading material is The Hunger Games Trilogy (Hunger Games, Catching Fire, Mockingjay)by Suzanne Collins – there’s definitely a sci-fi element to these books, but don’t let that scare you off. At the heart of it is a heroine fighting to bring down the Roman-esque Capitol who enslaves the people of its futuristic empire. Which, admittedly, sounds ridiculous – but once upon a time, so did space travel and now we’ve got spaceships playing chicken with comets. I digress… At least give the first installment – The Hunger Games – a try. It’s a pretty great universal reader type of book: suspenseful, there’s some romance in there, and it’s action packed. Solid read. AND it’s being adapted into a movie in the very near future – keep your eyes open for that, kids. 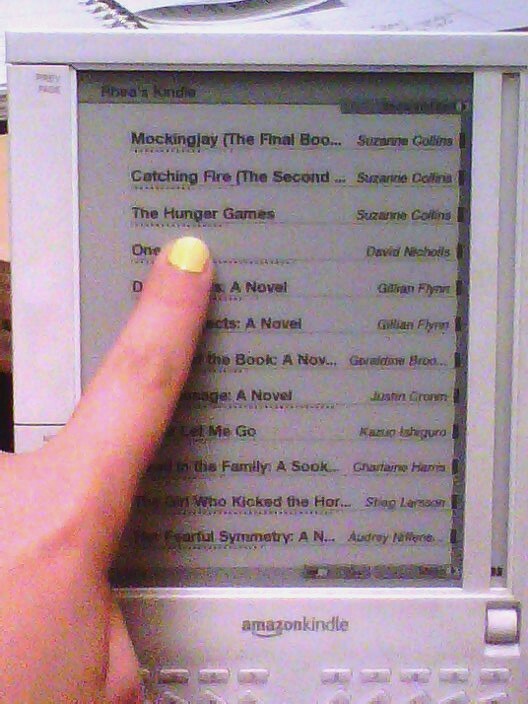 Thanks to Ms. A Slutsky for putting the Hunger Games Trilogy on my radar. Need a book recommendation? Holler at me with a comment and I’ll get back to you. ← Indian You Wanna? Nirvana You Gotta!